I really enjoyed Need You Now and am looking forward to more in the Man of the Month series from J Kenner. Book three is Cam and Mina’s story. I really liked Cam, He’s held a torch for his best friends twin sister for a long time. They’ve know each other pretty much forever so he figures that Mina more or less sees him as another sibling than a love interest. Cam took part in the Mr February event, and even though he didn’t win and played it mainly for laughs, he’s now hoping that his favourite gal will start to notice him. 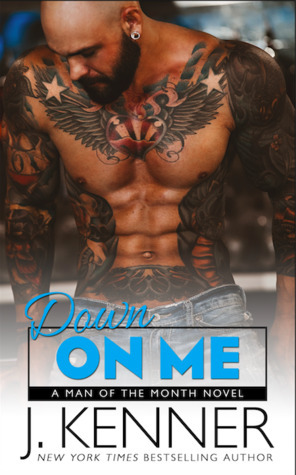 The heat starts to ramp up as Mina is now gonna be around The Fix on Sixth where Cam works – she’s managed to get a job as part of the tv crew that’s filming the reality show around the bars improvement – and they now see each other just about every day. Not long after the latest MotM contest things begin to change for Mina and she starts to see Cam in a very different light…..
A hot and heavy make out session leads to more for the pair but Mina has big plans for her future and they don’t include a relationship… The big question was could this couple work things out – and believe me, I loved them together so much that I was crossing everything that they’d find their own happy ever after. Another quick, fun read in this standalone series of books, I’m giving Need You Now 4* and I can’t wait for the next instalment.